We now offer beautiful Baltic Amber necklace extenders at Spark of Amber. This is for those parents who want to make their child’s Baltic Amber teething necklace last longer! 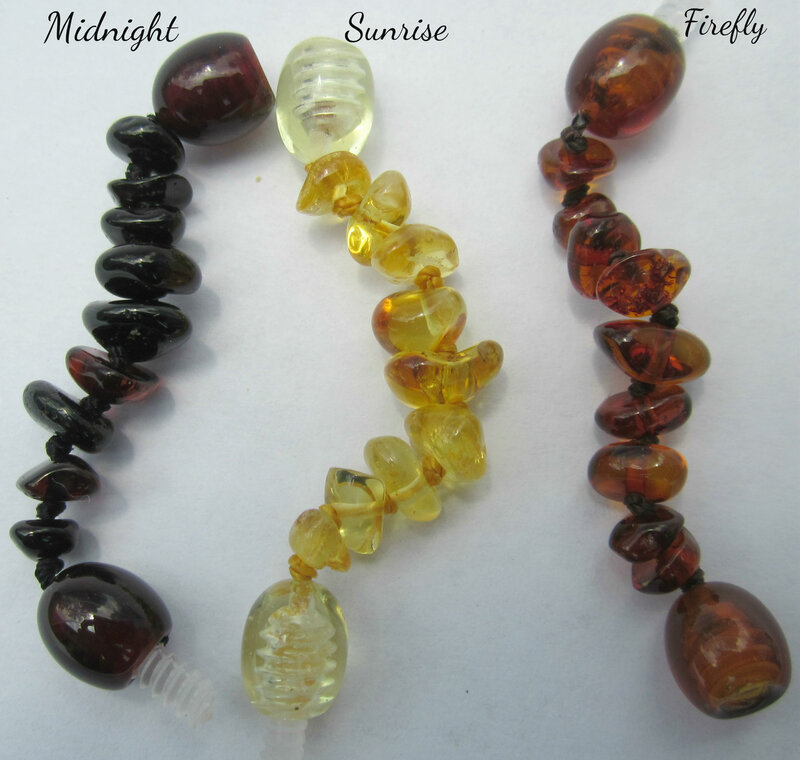 Also, it is for adults / teens who want to extend the length of their own Baltic Amber necklaces. These Baltic Amber necklace extenders are made especially for Spark of Amber. All of our Baltic Amber necklace extenders are 2″ long and hand-crafted with care. We offer the Baltic Amber necklace extenders in the nugget style and the round beaded style. In the near future we will be also adding Baltic Amber necklace extenders in the Campfire Raw style. Our Baltic Amber necklace extenders are $7.99 with free shipping when you purchase only one. If you purchase 2 or more (or if you purchase one along with another item from Sparkofamber.com), then they are only $5.99 each with free shipping! This is a great way to adjust the sizing on your Baltic Amber necklace or Baltic Amber teething necklace! Remember, not only do we sell Baltic Amber necklaces, Amber teething necklaces, and Baltic Amber necklace extenders, at Spark of Amber we offer a wide range of jewelry for all ages. We sell Baltic Amber bracelets, rings, earrings, pendants and more. Visit our website and Facebook page often for the latest products and pictures. This entry was posted in Baltic Amber for Adults, Baltic Amber for Teens, Baltic Amber Jewelry, Baltic Amber Teething, Information About Amber Jewelry, Special Offers at SparkofAmber and tagged amber necklace extender, amber necklace extenders, amber teething necklace extenders, baltic amber necklace extender, baltic amber necklace extenders, baltic amber teething necklace extenders, necklace extenders, teething necklace extenders. Bookmark the permalink.